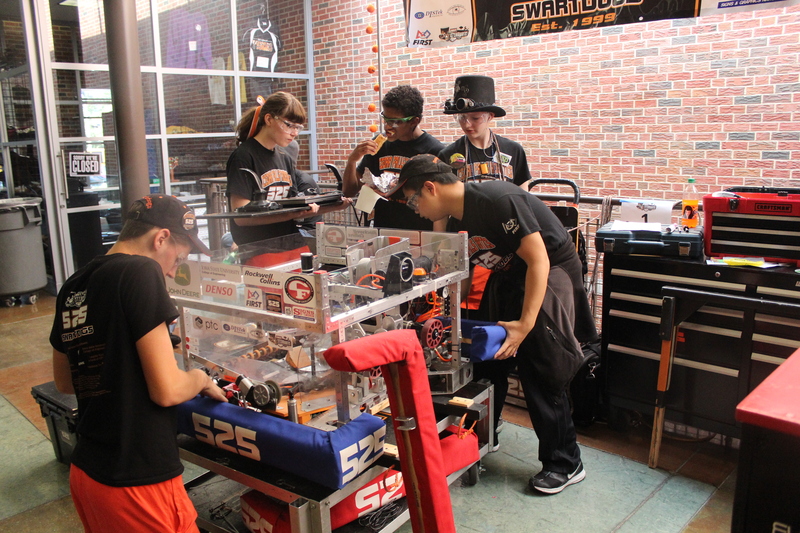 FIRST Robotics Competition team 525 Swartdogs spent the month of October preparing for an off season event called the CowTown Throwdown which we attended at the end of the month. Before the competition, we prepared for the competition. This included learning how to scout, drive team practice, drive team tryouts, learning the rules for the game, a rules quiz, and making repairs to the robot. After preparing for the entire month, we travelled to Lee’s Summit, Missouri, for this two day off season competition. But, before we left, we had a social with team 6630, F.U.N. 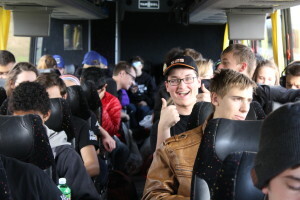 from Union, Iowa, who we travelled with to the competition. 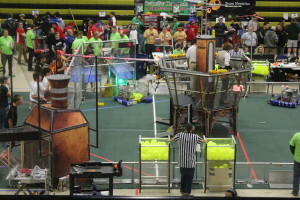 Both teams wanted to get to know each other better before the competition. The social consisted of games, food, and just hanging out. Finally, at the end of the month, we participated in the CowTown Throwdown. The main goal of the competition was for students to learn. Specifically, this was a great experience for new students to learn what a regional is like but in a lower stress environment. We even had two drive teams who took turns participating in matches in order to give more students the opportunity to understand what it is like to be on the drive team. We also had many students in the stands who learned what scouting is like and how to scout. On Friday, after we arrived, we participated in a practice match. 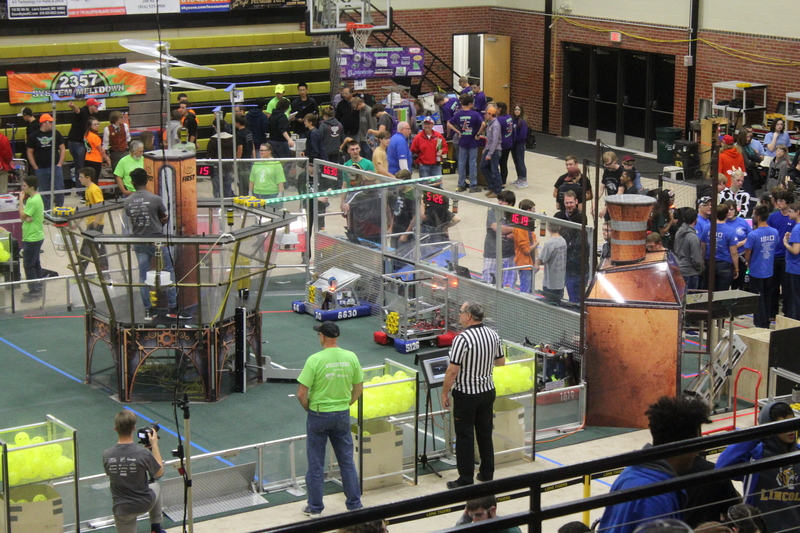 The rest of the day included the first half of the qualification matches. Then, on Saturday, the morning included the rest of the qualification matches. 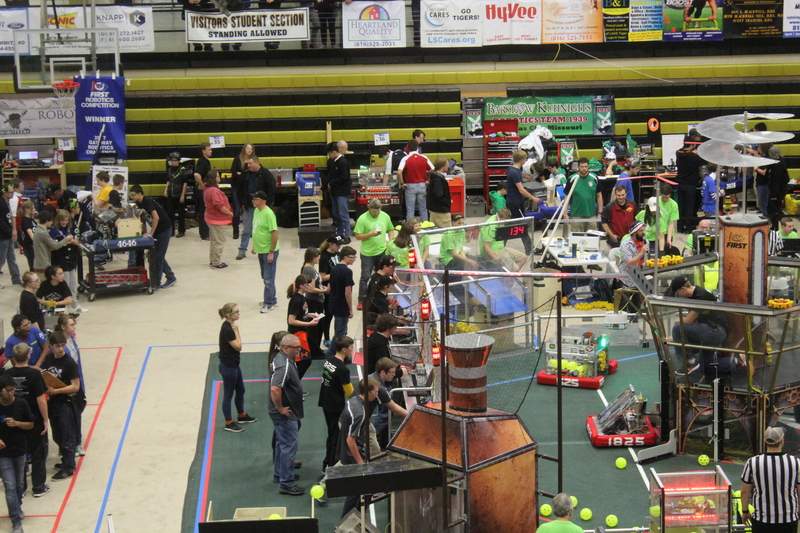 The qualification matches went well for the most part. After qualification matches, we were ranked number four with a ranking score of 1.75. We had won six matches and lost two. During alliance selections, our first pick was team 3284 Camdenton LASER, our second pick was team 1806 S.W.A.T., and our third pick was team 1785 Blue Springs Robocats. Then, the afternoon consisted of the playoff matches. 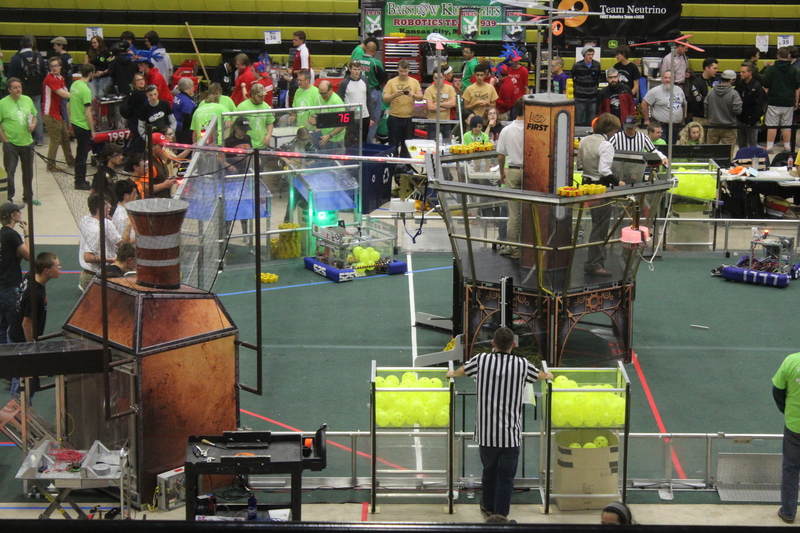 Sadly, our alliance lost in the quarterfinals to the fifth seeded alliance. Congratulations to all of the teams at the competition. Even though we lost in the quarterfinals, overall, this was a really great learning experience and a lot of fun for all team members involved. Overall, October was filled with lots of learnings and great experiences for the team.